Residential Potted Gardens | The Contained Gardener Tucson, AZ | Sonoran Gardens Inc.
Is your home looking a little bare, are you potted plants looking a bit under the weather? The Contained Gardener, a division of Sonoran Gardens Landscape Design and Construction, can make your home bloom with magnificent color year-round without the expense of an entire renovation. Our design service team, led by Martha Ciaccio, will work with you to come up with a design plan to place each potted plant where it will flourish and continue to look its best. To keep everything looking great, our Tucson potted plant Garden Care program will keep your potted plants looking their best. What sizes are the areas you want to beautify? What patios, entries and other living spaces need to be considered? Do you have a dedicated pot irrigation line? Install your potted garden. We can complete the job all at one time or in phases, whatever suits your budget needs. Sonoran Gardens will work with you to fulfill your dreams in the way you would like. Upon acceptance of the final agreement, we ask for a 50% deposit and schedule your installation. The balance is due upon completion of the work. How much should you expect to budget towards a Contained Gardener Potted Plant Garden? Starting from scratch on a custom potted plant garden, you can expect to spend $500 to $800 per finished container. 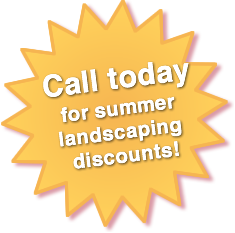 This price includes everything needed, from design through full installation, creating a garden that transforms your outdoor living areas into a space that pulls you outside time after time.